And a wonderful family outdoor experience, too! 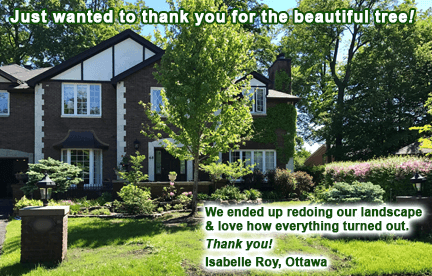 "To make Ottawa a more beautiful place to live…"
can have a significant impact on the relative curb appeal of your property. When you can have a perfect, more mature tree… right now? 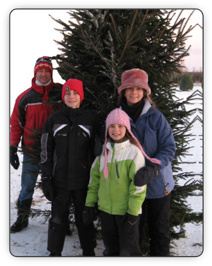 And finding just the right tree – the right kind, the right size, and the right shape – can be tough. Sure, you can buy a skinny stripling at the big box store – hoping against hope it’ll survive, much less grow into the stately tree you're hoping for. One of the primary focal points of your landscape? Just 15-20 minutes west of downtown Ottawa on Fallowfield Road in Stittsville, Fallowfield Tree Farm offers you a great selection of regular & large caliper-sized deciduous (leafy) trees & coniferous (pine, balsam, etc.). 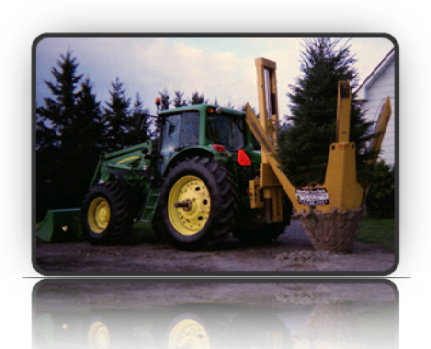 Our tree farm is fully insured for your peace-of-mind, too! You'll find trees of all kinds at Fallowfield Tree Farm, as well as hedge cedars, quality tree removal, tree relocation, tree planting, and stump grinding and removal services. 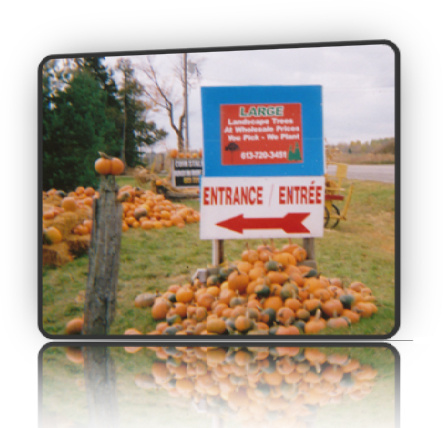 All of which means, a visit to Fallowfield Tree Farm can be more than just Greater Ottawa’s ‘place for trees’ for you, your family, group, or organization – it can be the ultimate family outing, a memorable event – even a celebration, and much, much more!